Jeff For Banks: Beware of the Yutes! 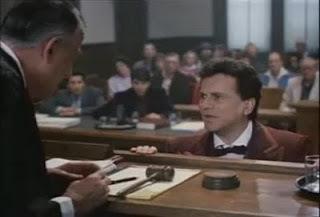 In the 1992 classic movie My Cousin Vinny, Joe Pesci referred to his clients as “yutes”. Fred Gwynn, who played the judge, asked for clarification, not understanding Pesci meant “youths”. Bear with me, I have a point. I was with a bank executive today that told me that 40% of OTS examiners had less than five years experience. Now, this was hearsay and I do not know if it is factually correct. But every time I looked into a conference room where a client had holed-up their examiners I saw a lot of young faces. I don’t think it’s a stretch to say the banking industry is being examined by yutes! These are heady times for banks. Some banks have booked loans to borrowers who had a low liklihood of servicing those loans in a recession. 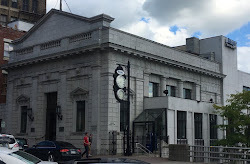 Those banks should receive diligent examiner scrutiny. Other banks made loans to borrowers that have been customers for decades and through numerous recessions. The bankers know the borrower has character that increases the liklihood of debt repayment in a difficult period. But on paper, the two borrowers may not look much different. Experienced examiners have a far better chance of understanding the distinction. You may ask to give the examiners a break because they are stretched thin. You may also say that we have limited federal budgets to support teams of experienced examiners. But the FDIC has approximately 5,000 employees and examines about 5,160 banks (see http://tinyurl.com/fdicstats). That’s almost one to one. I understand the FDIC also manages the insurance fund and has a consumer protection arm. They also perform industry analysis. But how many people does it take to perform the other functions, and should they even perform them? Having inexperienced examiners requires regulators to standardize how banks are examined. That means there will likely be no distinction between borrowers that have the same debt service coverage ratio and loan to value, regardless of character or longevity with the bank. It could mean the end of character lending, too.